As a board member of FairTest, I'm so glad that we're doing this. If you have a Facebook account, please consider liking FairTest at https://www.facebook.com/FairTest. So glad to see this happening. 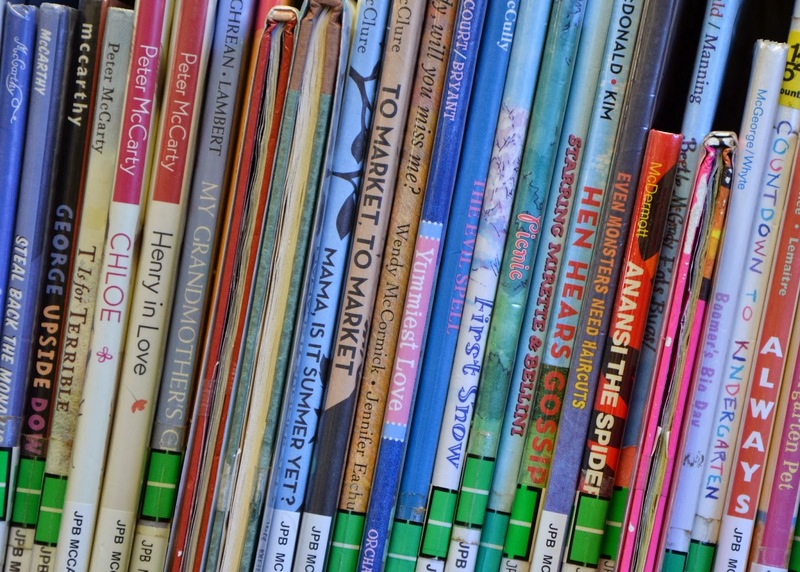 We are alarmed at the negative impact of excessive school testing mandates, including your administration’s own initiatives, on children’s love of reading and literature. Recent policy changes by your Administration have not lowered the stakes. On the contrary, requirements to evaluate teachers on student test scores impose more standardized exams and crowd out exploration. Angelou is noteworthy on this list not only because of her position in the literary world but because she has been a big public supporter of Obama. Other signers include Jules Feiffer, Donald Crews, Alma Flor Ada, and National Book Award winners Kathryn Erskine and Phillip Hoose. The mention of Obama’s education initiatives is in part a reference to Obama’s main ed program called Race to the Top. Critics say it has extended the high-stakes testing mandates on public schools that started during the No Child Left Behind era of former president George W. Bush by insisting that student test scores be used to judge teachers through ”value-added” methods that many experts say are unreliable and invalid. We call on you to support authentic performance assessments, not simply computerized versions of multiple-choice exams. We also urge you to reverse the narrowing of curriculum that has resulted from a fixation on high-stakes testing. Teachers, parents and students agree with British author Philip Pullman who said, “We are creating a generation that hates reading and feels nothing but hostility for literature.” Students spend time on test practice instead of perusing books. Too many schools devote their library budgets to test-prep materials, depriving students of access to real literature. Without this access, children also lack exposure to our country’s rich cultural range. This year has seen a growing national wave of protest against testing overuse and abuse. As the authors and illustrators of books for children, we feel a special responsibility to advocate for change. We offer our full support for a national campaign to change the way we assess learning so that schools nurture creativity, exploration, and a love of literature from the first day of school through high school graduation. In 2002, only 94 books were written about, and 48 books written by, Latinas/os: That number has not improved. For instance, 2012 statistics reveal that out of a total of 5,000 children’s books published that year, 54 of them were written about, and only 59 were written by, Latinas/os. In 2011, just over 3% of 3,400 books reviewed were written by or about Latinos. Only 18% of Latino fourth graders were proficient in reading; meanwhile, 44% of their white peers were classified as being proficient in reading. In Texas alone, by the year 2050, another study shows, public schools will serve 9 million students, from the 5 million at present—of these, 6 million will be of Hispanic origin. Despite flash flood warnings, an unusual spate of rain and high winds in a drought-devastated Central Texas, about 45 dedicated community activists, librarians, historians, archivists, scholars, and local leaders gathered in Austin on September 20, 2013, to address the significance of these figures. The consensus was a mixture of concern, outrage, and a commitment to take action. The timely publication of a Young Adult novel, Noldo and His Magical Scooter at the Battle of the Alamo and a visit by its author, Armando Rendón, sparked the event. 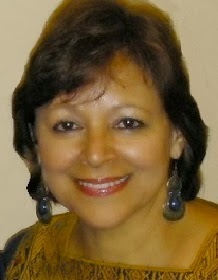 Rendón is founder and editor of “Somos en Escrito Magazine”. The entire experience was otherworldly in that Rendón’s visit coincided in space and time with a conversation that has been building in the Austin community regarding the systemic unavailability of books that are not only written by, but that also have content that is relevant to the history and experiences of Chicana/os and Latina/os. Merging these agendas found expression in this historic gathering of local leaders that further sought direction from one of our own, Oralia Garza de Cortés, who is a leading voice for children’s literature and library and literacy services for Latino children and families at local, state, and national levels. This was truly a shared community effort that involved the following co-sponsors: the Emma S. Barrientos Mexican American Cultural Center (also referred to as “the MACC”), Austin Parks and Recreation, Las Comadres and Friends National Latino Book, Teresa Lozano Long Institute of Latin American Studies; Benson Latin American Collection, the Center for Mexican American Studies and the Texas Center for Education Policy at the University of Texas at Austin, the National Latino/a Education Research and Policy Project, Modesta and José Treviño, and El Corazón De Tejas, the Central Texas Chapter of REFORMA, an affiliate of the American Library Association. REFORMA is a national association to promote library and information services for Latinos and the Spanish speaking. Serving as moderator, Dr. Angela Valenzuela from the University of Texas at Austin’s Texas Center for Education Policy, opened the event with general commentary on how the dearth of children’s books with content that is important to Latino/as intersects so powerfully with other advocacy areas that are also germane to the needs and experiences of our communities, including literacy, our literary heritage, intellectual traditions, archives, cultural preservation, and the arts. She urged the audience to consider ways that they can become advocates. Through his presentation, Rendón brilliantly and magically transported his eager audience to Noldo’s barrio in San Antonio, Texas’s West Side. The novel, set in the 1950’s, finds Noldo playing outdoors and witnessing sudden cloudbursts, lightning, and thunder that drenches the rutted street that is his playscape (caliche barrio). What follows next is Noldo’s own time travel story that transports him to 1836 to the Misión San Antonio de Valero, known today as “El Alamo,” where he befriends a young person his own age on the eve of this historic battle. He mused about Noldo’s time travel and how his plans are to take him to the Mexican Revolution of 1910 where Noldo provides a personal, eye-witness account of the battle at Juárez from the safety of El Paso. Oralia Garza de Cortés’ stirring presentation addressed a range of issues associated with the systemic lack of access to Latina/o children's literature and how best to advocate. She noted that “Publishers must bear the brunt of this responsibility, although they’re not the sole culprits. The publishing industry is like a giant ship in that it has many moving parts. There are literary agents, editors, reviewers, selectors, librarians, book sellers, and book buyers,” she asserted. “Everyone plays a critical role in promoting, reviewing, and purchasing these books that have been vetted by a combined team of professional librarians to select the best of the best. Without the published books, there can be no selection,” she said. She explained how this rare occurrence was the result of not having enough books to select from and how this speaks volumes about the lack of literature from which to select, as well as one committee’s insistence on quality. She further situated this crisis in the context of a 50 million and growing school-age, Latino population, noting that the limited number of published books—less than 200—is a travesty. “Que verguenza!” she exclaimed. What followed was a lively conversation on how to begin to change this with the multiple and varied strategies that can serve as guideposts for what many of us in Austin believe is an idea whose time has come. Local labor leader and library activist, Teresa Perez-Wiseley, agreed that advocacy in small and large ways is a must. She shared that it should not be a difficult proposition getting these books into our children’s schools, but it is. Teresa suggested to the audience that to override the bureaucratic hurdles it is often best to simply purchase and donate Latina/o children’s books to our local school libraries. An audience member raised an issue mentioned by Garza de Cortés that many of the children’s books for Latina/os that she came across actually had damaging content. She asked whether there is any organization that sends out a list that says, “Do not buy this because this is not a culturally sensitive book?” None appears to exist. Some discussion centered on how to become a Latina/o children’s book writer. Both Rendón and Garza de Cortés referred to the important, if complex, negotiation of two language systems that capture well the discourses, identities, and histories of our communities but also work politically to elevate us in the eyes of publishers beyond our more typical designation as “regional minorities” for a “regional market.” This is an antiquated mentality that needs to get challenged. Other issues that surfaced included a lack of Latina/o librarians or other committed individuals responsible for insuring that our library collections are sufficient, that is, the pipeline for careers in librarianship is fragile and should be strengthened. Aside from Cotera’s and Perez-Wiseley’s commentaries on assuming leadership positions locally and advocating singlehandedly, respectively, both Texas historian Dr. Emilio Zamora and Martha Cotera suggested workshops or a Saturday school for our community that could be held at the MACC. It could be a site for professional development workshops, as well as organized events around different kinds of writing like history or poetry that brings writers and community to spaces like these to address larger issues related to writing and publishing. The evening ended with a reception and book-signing event with multiple copies of Noldo finding their way into eager hands. The reception was rife with hope and expectation that we would reconvene soon to begin contemplating artist workshops, a Saturday school for Latina/o children, and a targeted strategy involving the City of Austin and Austin Public Libraries in order to begin to meet the demand that exists. We feel like kids, too, Armando. You and Noldo are helping us to grasp our need to travel to the past in hopes for a brighter future. Gracias! 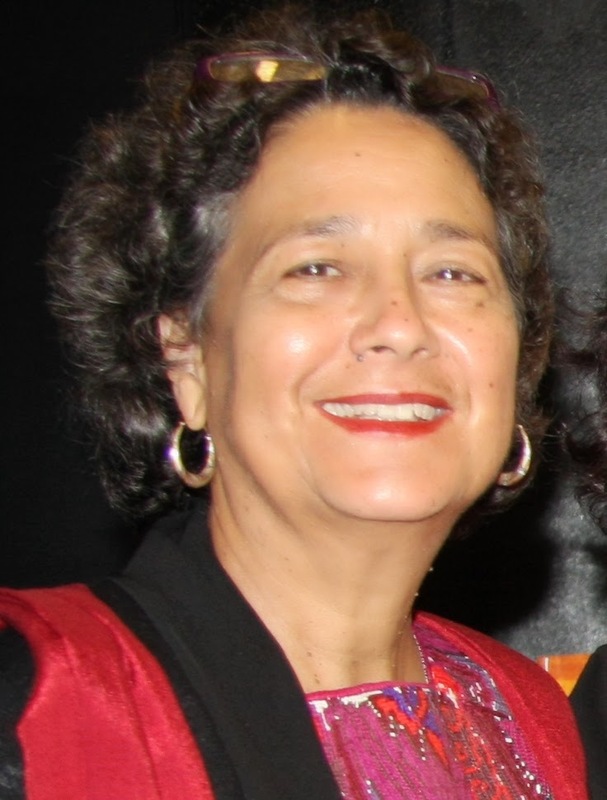 Angela Valenzuela, Ph.D., a nationally and internationally renowned scholar and professor in Educational Administration, chairs the Education Policy and Planning Program at the University of Texas at Austin and serves as the Department's Graduate Adviser. She also directs the Texas Center for Education Policy at UT. She is author of the groundbreaking book, "Subtractive Schooling : U.S.-Mexican Youth and the Politics of Caring," published by State University of New York, 1999. 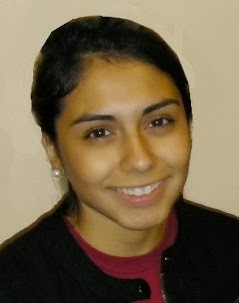 Clarissa Riojas, graduating this year from UT Austin with a B.A. in English Literature, Mexican American Studies, and a certification in Latino Education, Language, and Literacy under the Bridging Disciplines Program, is an intern with Dr. Valenzuela in the Texas Center for Education Policy. Here is an important article on the history of Communities Organized for Public Service (COPS) in San Antonio http://www.lared-latina.com/cops.htm It is very much about the potential power that poor, oppressed folks have to turn around their circumstances. This is a very important and rich history without which things would really have turned out a lot differently in San Antonio and beyond had COPS never entered the picture. This is a painful and indeed shameful story of the ways in which the poor were directly victimized by city leaders in San Antonio. The world is fortunate to have benefited from the extraordinary community activist leadership of Ernesto Cortes and Oralia Garza de Cortes who have dedicated their lives to helping the poor. I remain deeply inspired and encouraged by all that they have done. May God continue to bless this work greatly. COPS Representatives and then Mayor Charles Becker. chamber and demanded to be heard. political issues then were the Mayor, Councilmen, and City Manager. Council, was carefully choreographed and orchestrated beforehand by COPS. action posed by the opposition. funds for developers in the affluent North Side suburbs. activities that could not go on at the same time in one house." about the legendary confrontation of COPS and Mayor Charles Becker. been authorized by the city in bond issues, they never were built. and the political and physical face of San Antonio." infrastructure improvements for the West and South sides of San Antonio. and a host of other related urban improvements. Spirit. I personally think there may be some truth to this notion. purpose of COPS is leadership formation." In a Key Note speech "Building a Just Society Through Ethical Leadership,"
negotiate, to get power by developing broad-based institutions." around their values. The issues fade, and people lose interest in them. hope. We need power to protect what we value." Mexican American community in San Antonio during the 60s and early 70s. City Councilmen in San Antonio. almost never raise funds to compete." South sides) to simulate the conditions they would face in Latin America. reactionary social and political framework for the state." the first Hispanic mayor of a major American city. Kennedy School of Government at Harvard University. honest, fair, and accountable to the voters. employment issues, and challenges that need be addressed in San Antonio. rate is lower than 3.5 percent. Why are people working to remain poor?." indirectly responsible for the establishment of the following programs. educational, and economic conditions of all San Antonio citizens. This piece by Nobel economic laureate Joseph Stiglitz is a must read. The solutions to this are not simply economic, but also political. Here's where schools, curriculum, tracking, underfunding, etc. come in, too, though not spelled out herein. Why hasn't greater schooling for Latin American girls translated into better jobs? Women’s socioeconomic and political progress advanced dramatically across the globe in the last half of the twentieth century, especially in Latin America and the Caribbean. Yet gender disparities remain high, and bridging those gaps has been a slow process. This is partly explained by negative stereotypes and misguided perceptions of gender roles—both still prevalent in Latin America. Such stereotypes not only distort many social interactions at home and in the workplace; they act as disincentives for girls to apply themselves in advanced study—particularly in mathematics. Just as significantly, they affect the overall labor supply. In both formal and informal labor markets, where Latin American families get 80 percent of their total income, gender gaps remain. Although the level of women’s participation in the workforce has markedly increased over the past two decades across the region, three out of every five workers are male. Since the beginning of the 1990s, the proportion of working-age women in the labor market has increased from one-half to two-thirds, with married and cohabiting women leading the charge. Many of those women married more educated husbands or were unburdened by dependents such as children or elderly relatives. The gender inequalities extend to salaries. In my recently published book, New Century, Old Disparities: Ethnic Earnings Gaps in Latin America and the Caribbean, we document that—based on representative data from 18 countries in the region circa 2007—males earn from 29 to 31 percent more than females with the same age, level of education, number of children, presence of other income earner at home, type of employment, and average hours worked per week. This has improved only marginally from two decades ago, when the same metric was from 33 to 35 percent. Female underpayment in the labor market is more pronounced among informal workers, the self-employed, workers in small firms of five employees or fewer, and part-time employees working at most 30 hours per week. Females dominate the part-time economy. It is a convenient way for them to both enter the workforce and design flexible hours around household responsibilities. One in four female workers is a part-time employee, compared to only one in 10 male workers. Examples of popular flexible-hour professions include domestic workers and pre-school teachers. But the flexibility for females comes at a cost—reflected in the earnings penalties they absorb. Women work more hours than men overall, but they are not fully compensated for those hours. Recent data from official national household surveys in Colombia reveal that in a typical week, working men and women devote an average of 48 and 40 hours, respectively, to paid work and 13 and 32 hours, respectively, to unpaid work such as household responsibilities. Thus, in the limited scope for such a fairer split of responsibilities, women often resort to more flexible segments of the labor markets. Doing so limits their access to top-paying occupations in the long term, illustrating a glass ceiling that hinders—or even blocks—their movement up the corporate ladder. Household surveys from eight Latin American countries show that, out of 10 top-paying occupations, including CEO, architect, lawyer, doctor, physicist, and production manager, women hold a smaller share of these lucrative posts compared to men. Indeed, the gender-based earnings gaps among these high-paying occupations are more pronounced than in the rest of the labor market. That is, flexible and top-paying occupations show higher gender earnings gaps than the rest of the labor markets. [See Figure 1] Many of these high-paying positions rely heavily on quantitative skills—an area in which males of the region still have more training, despite the gains that females have made in terms of general schooling. Gender disparities in the workforce are perplexing—particularly in light of evidence that suggests females across Latin America and the Caribbean are actually outpacing males in educational attainment. Our research team at the Inter-American Development Bank has found, for example, that females born by 1980 attended, on average, one more quarter of a school year than males (9.5 versus 9.2). In contrast, males born by 1940 achieved, on average, one extra year of schooling over females (6 versus 5).1 This gender educational attainment gap reversed from being male-dominated to female-dominated on a regional level beginning with the cohort born in 1968. The higher schooling attainment of women is clearly seen among the highest educated. While by 1992, 16 percent of working females and 11 percent of working males in Latin America either partially or fully completed tertiary education, by 2007 those distributions were 26 percent and 17 percent, respectively. Moreover, the global phenomenon of higher schooling achievement among females began earlier in Latin America than in the rest of the developing world. The only countries in the region where boys still attain more schooling than girls are Bolivia and Guatemala—two countries with sizable Indigenous populations—which suggests important links to ethnicity, culture and gender parity. Yet despite the fact that females are staying in school longer, their test scores in math still fall short of males’. Consider data from the Organisation for Economic Co-operation and Development (OECD)-administered Programme for International Student Assessment (PISA). The 2009 PISA was applied to more than 475,000 students in 65 countries, with 97,000 of them from nine Latin American and Caribbean countries: Argentina, Brazil, Chile, Colombia, Mexico, Panama, Peru, Trinidad and Tobago, and Uruguay. Boys outperformed girls in the quantitative section of the test in 35 out of 65 countries—including in seven out of the nine Latin American nations. Only in Trinidad and Tobago did girls outperform boys. In Panama, the gender differences in quantitative performance were statistically insignificant. Girls still score lower than boys globally in the PISA, but the gap is magnified in Latin America, even more so among the highest performers. Compare gender disparity in top performance across world regions. In East Asia and the Pacific, for instance, 42 percent of top performers are girls and 58 percent are boys—compared to 13 percent and 87 percent, respectively, in the Latin American sample. Indeed, Latin America and the Caribbean has the single lowest share of any global region in terms of the top female PISA math scorers. This lower mathematics performance also induces gender differences in fields of educational specialization. UNESCO data indicate that by 2008, females across six countries in South America—Argentina, Brazil, Chile, Colombia, Ecuador, and Uruguay—constituted almost 60 percent of all graduates from college programs. Yet they represented only 30 percent of those studying engineering, manufacturing or construction. Women, however, made up a majority of graduates in the fields of education (73 percent), health care and sociology (71 percent). It’s not a question of global gender inequity. Half of the countries that participated in the 2009 PISA had equal levels of gender attainment. But what do those countries have in common insofar as educational outperformance of Latin America? What makes one country more prone to gender parity in students’ mathematics performance? Using data developed by the World Economic Forum and the World Values Survey, Paola Sapienza of Northwestern University’s Kellogg School of Management and her co-authors argued in Science in 2008 that countries with greater gender parity in economic and political opportunities tend to show lower or no gender gaps in math performance.2 The findings lend support to the idea that the current status of adult women shapes expectations for girls and influences and the way girls and boys decide how to apply themselves in their studies, in this case in math. Here, negative stereotypes about gender roles play a role in inducing males and females to pursue certain paths of study. The idea that math- and science-related work is better suited for boys is rooted in many societies, both in the developed and the developing world. Dario Cvencek and his co-authors from the University of Washington’s Institute for Learning & Brain Sciences provide recent evidence from the United States in a study published in 2011 in Child Development. They found that in a sample of Seattle schoolchildren, primary-school students implicitly and explicitly tended to associate math more with boys than with girls as early as the second grade. Such perceptions are nurtured by cultural and commercial stereotypes that can have an impact from an early age. Take the “Teen Talk Barbie” doll from the 1990s, which spoke phrases such as, “Math class is tough.” At local toy stores, science- and math-oriented toys are hardly conducive to gender neutrality with respect to their shapes and colors. However, popular culture has begun to address these vestiges of sexism. One example is the famous 2006 episode of The Simpsons titled “Girls Just Want to Have Sums.” These are good signs, but there is still work to do. Juan Camilo Cárdenas at Universidad de Los Andes in Bogotá and his colleagues from Stockholm provide the most recent evidence of changing attitudes.4 They tested gender differences in competitive settings in 2011, comparing children from Colombia and Sweden—two countries that substantially differ in terms of gender parity. They measured performance for kids aged nine through 12 on four tasks linked to different degrees of gender stereotyping: mathematics, running, word search, and skipping rope. Their study design allowed them to measure competitiveness and risk-taking for performing the tasks. It provided encouraging signs: boys and girls performed equally in mathematics, word search and running in both countries. The dramatic gender gap: boys’ tendency to take risks was significantly higher than that of girls in both countries, but the disparity was even more pronounced in Colombia than in Sweden. The embedded stereotypes sometimes appear in a seemingly inadvertent or unconscious way. A 2005 study I conducted with Martin Benavides at the Peruvian think-tank Grupo de Análisis para el Desarrollo (Group for the Analysis of Development—GRADE) analyzed the images contained in Peru’s official school textbooks for the fourth, fifth and sixth grades. In the textbook pictures, males outnumbered females two to one. Moreover, males were more likely to be depicted in school and work environments, while the images of females showed them performing household and leisure activities. Similarly, with colleagues at the Universidad de Los Andes, I analyzed photos of people published in nationally circulated Colombian newspapers and magazines during the second quarter of 2011. At first glance, the gender split seemed unbiased: one-third of the images contained only men, another third only women, and another third both. However, the context in which they appeared was wildly imbalanced. Women were usually depicted in situations related to health, friendship, love, and beauty; men were pictured in environments denoting entrepreneurship, security and justice. The business publication used in the sample depicted less than one-fifth of women-only images, with only half of those in an environment denoting entrepreneurship, security or justice. Peeling back the onion of gender disparities in Latin American and Caribbean labor markets reveals gender stereotypes as discomfiting sources of bias, rooted as early as primary school—or before that, at home or in the public sphere. The effects are tremendous: fewer women pursue an educational path suited to quantitative acumen—skills that pay well professionally—and thus hold fewer positions of leadership. In this regard, regional economies inadvertently limit their development opportunities as they fail to take advantage of the full potential of half of their populations. Crafting economic policy with gender parity foresight is smart economics. What can be done? For one, investment in early childhood development is strongly recommended. That is, teaching children before they enter school that “mathematics is for me” and “yes, I can.” Training teachers to eradicate stereotypes works—but only to a fault. It is equally important, if not more, that children learn about gender parity from their parents and support structures at home. Addressing gender inequality is essential to tackling longstanding—if inadvertent—stereotypes. Expectations of female achievement must be reshaped, because the continuation of an unacceptable status quo will prevent women from realizing their true potential in the workforce. To read more from Americas Quarterly, sign up for a free trial issue of the print magazine. No risk, no commitment.